Ensure that you have Administrator rights on your computer. 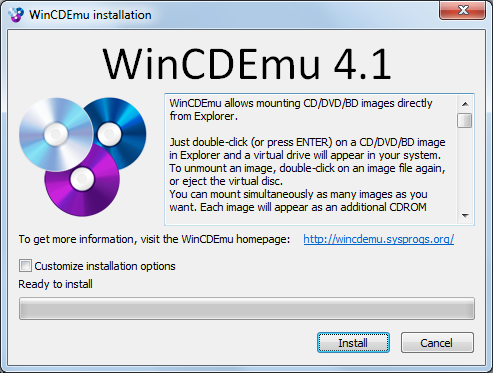 Download and run the installer file. Simply double-click on any disc image to get it mounted!